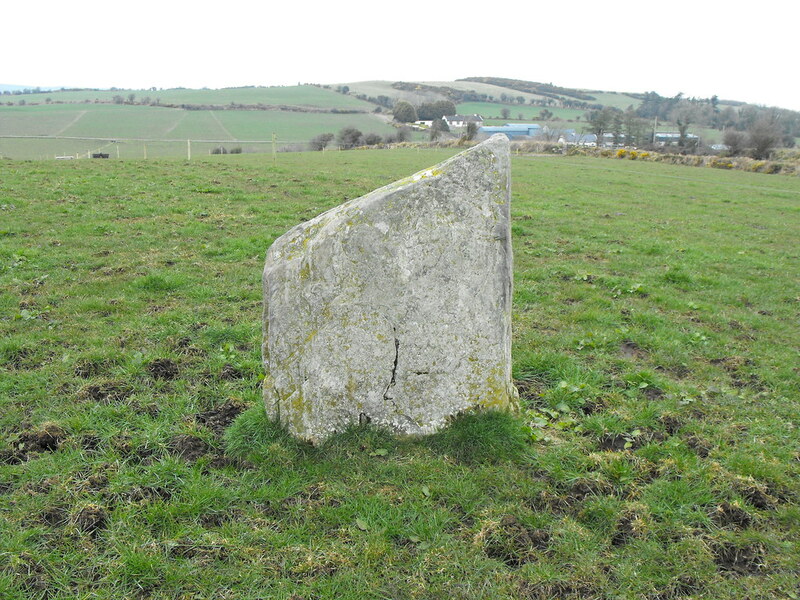 The Standing Stone: Barbaha, Ring Barrow and Standing Stone, Co. Tipperary. 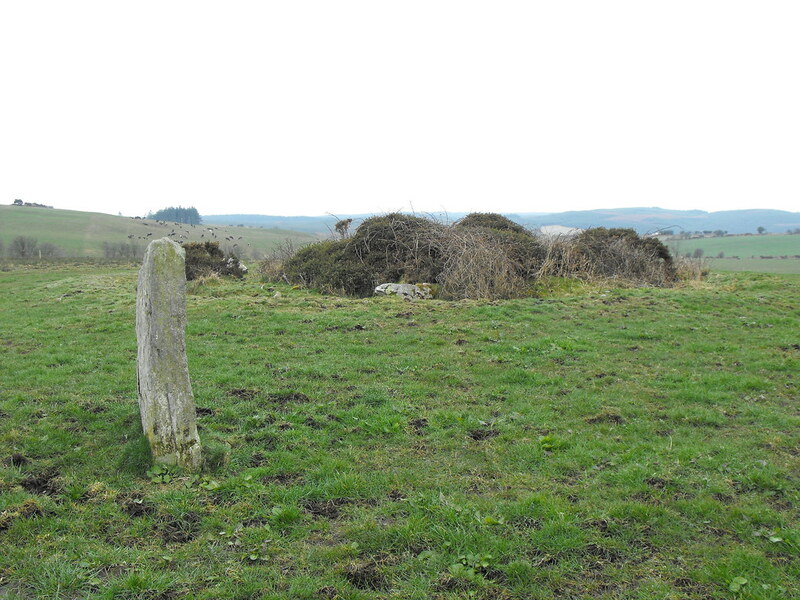 Barbaha, Ring Barrow and Standing Stone, Co. Tipperary. Location – In the foothills of the Arra Mountains. Bring your map for this one. Description and History – This site was a little puzzling to me. I first passed this a couple of years ago when I was without an Ordinance Survey map so I could never figure out where it was so I could get back there for another look. 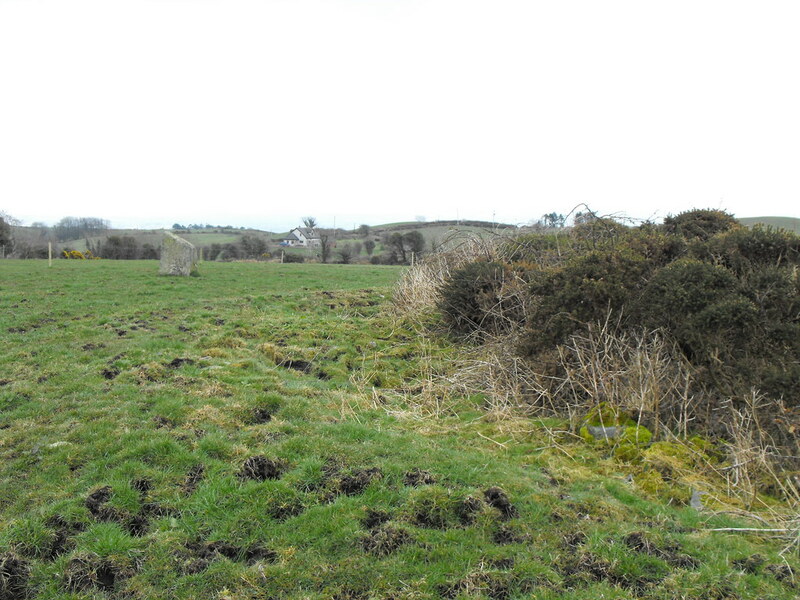 By chance a local land-owner contacted me to go and look at a few sites and brought me out to this one. 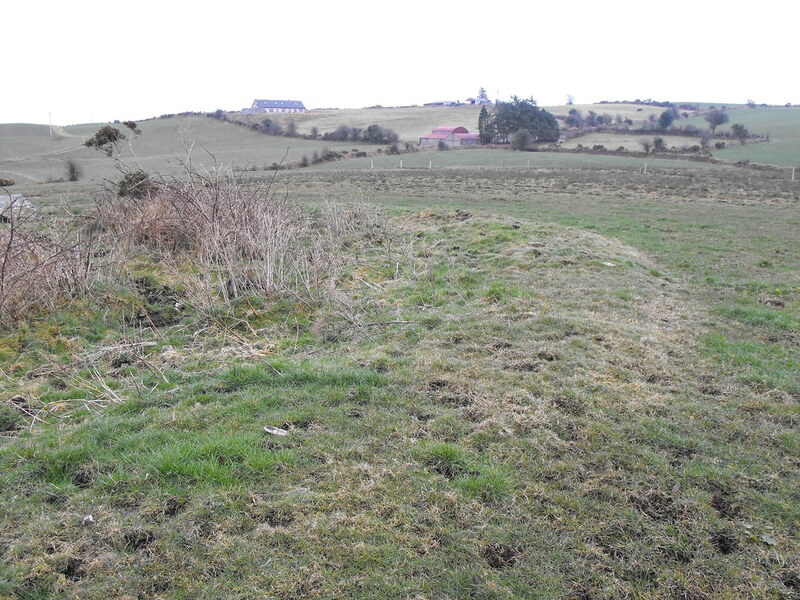 For some reason I had it stuck in my head that this was some kind of wedge or court tomb and I was blinded by the fact that it was a simple ring barrow and standing stone. Nevertheless, this is a nice little monument but does need a little tidying up. The barrow it getting a little overgrown now. It is about 10m in diameter and rises to only 0.5m high. There are also two boulders protruding from the bank and fosse. 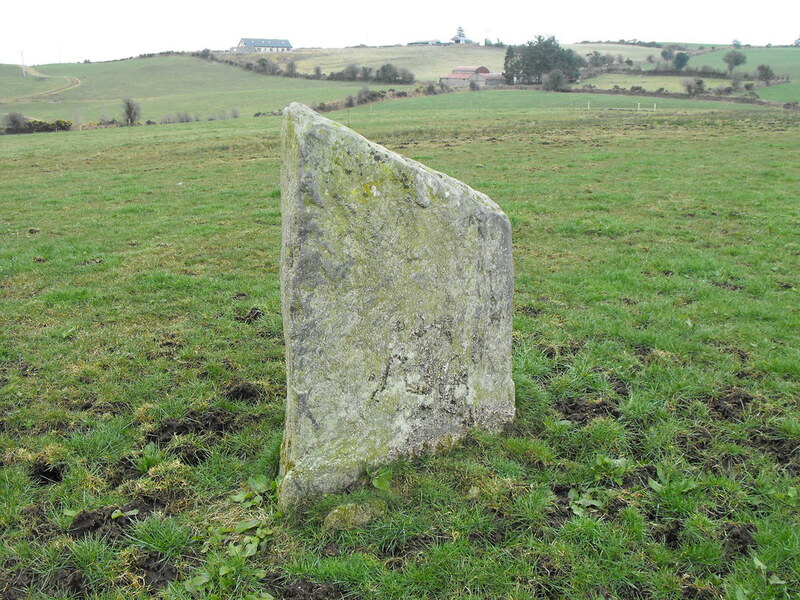 The standing stone stands about 8m to the E of the barrow and it 1.45m high. Although not a huge stone, it is a lovely shape and your eye is drawn to it. 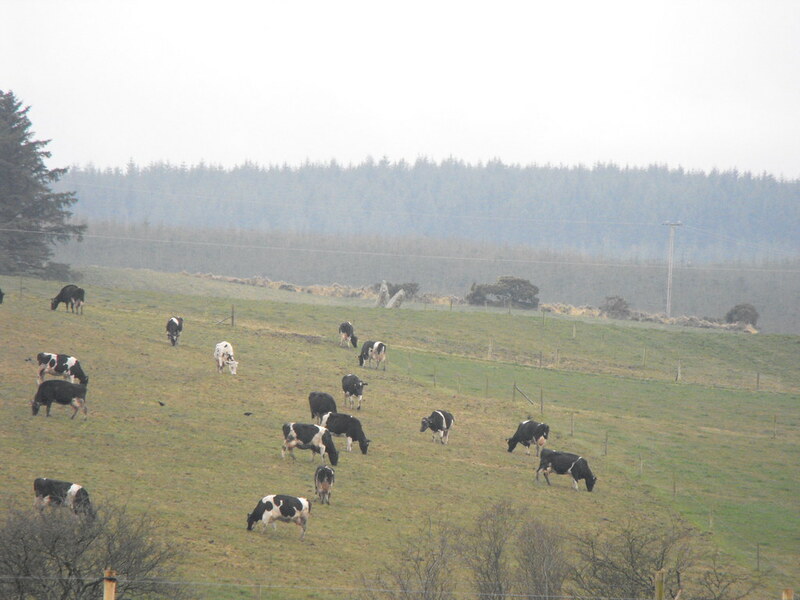 Difficulty – Pretty easy to get to but there is a lot of electric fences so be careful. 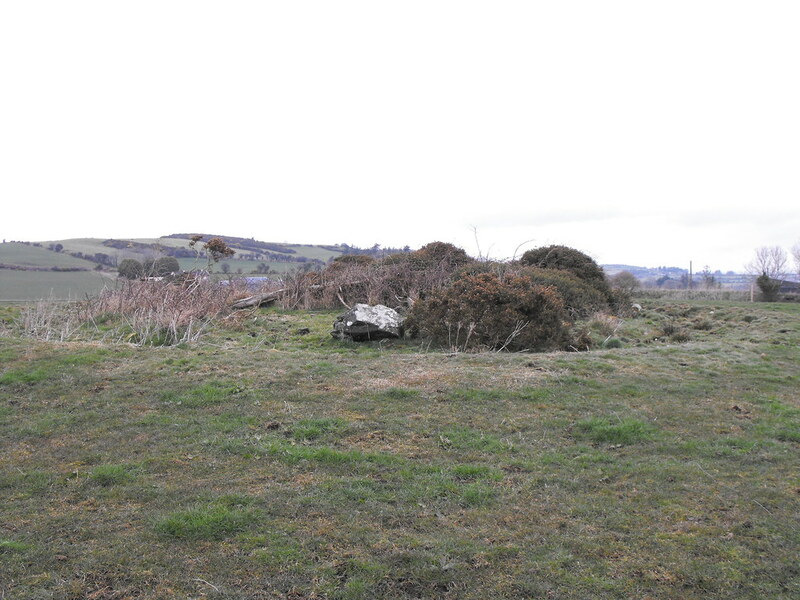 You can see one of the boulders protruding from the barrow here. 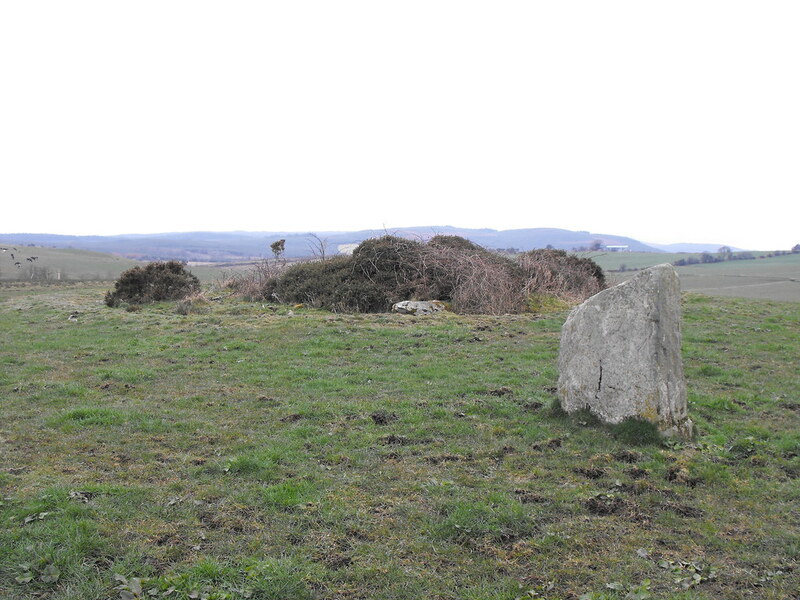 They may have been standing once and pushed into the barrow when they fell. 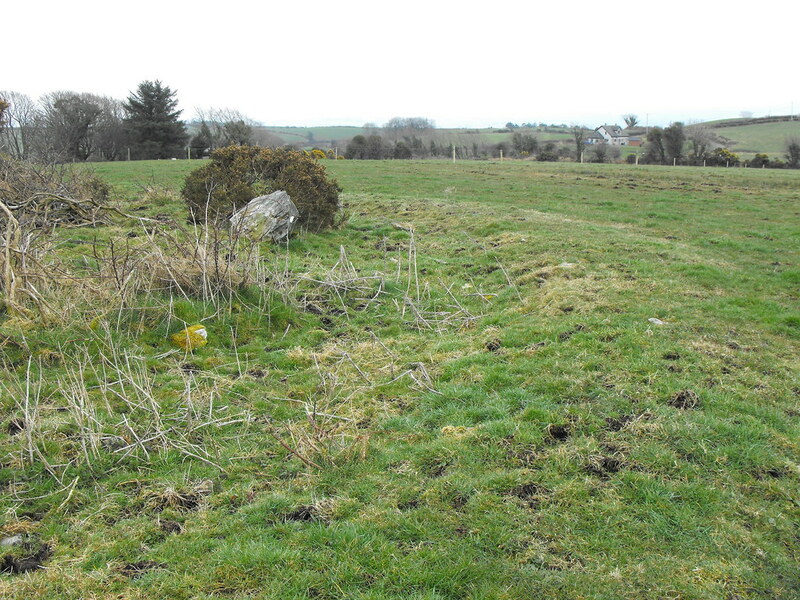 In the centre of the photo you can see the stone row at Carrigeen which is visible from this barrow and stone.